Eating disorders affect millions of people around the world. They’re most common in cultures that focus on weight and body image and can affect people of all genders, races, ages, and ethnic backgrounds. People who have a negative body image and those who diet are at risk of developing an eating disorders such as anorexia nervosa, bulimia, binge eating disorder, or a category called other specified feeding or eating disorder (OSFED). 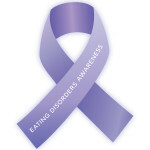 Eating disorders have serious health consequences and require treatment. Recovery is likely with the help of specially trained health care providers and a supportive family. Eating disorders are complicated psychological conditions that affect a person’s physical and emotional health. They involve intense emotions and behaviors about food. Eating disorders are very dangerous illnesses and can lead to permanent physical and psychological consequences if left untreated. The five classifications of feeding and eating disorders are anorexia nervosa, bulimia nervosa, binge eating disorder, other specified feeding or eating disorder (OSFED) and avoidant restrictive food intake disorder (ARFID). Anorexia Nervosa (pronounced: an-or -rex-e-ah) involves food restriction (limiting or not having certain foods or food groups). People with anorexia drastically limit their food intake and have an intense fear of gaining weight, even though they are significantly low weighted. Bulimia Nervosa (pronounced: bull-e-me-ah) involves cycles of binge eating followed by a purging behavior. People with bulimia will eat an unusually large amount of food in a short period of time and then exercise excessively or purge by self-inducing vomiting, using laxatives, enemas, or diuretics in an attempt to avoid gaining weight. Binge eating disorder involves eating an unusually large amount of food in a short period of time and feeling a loss of control during this episode. People with binge eating disorder do not purge afterwards, but often feel shame or guilt about their binge eating. Other specified feeding or eating disorder (OSFED) involves some combination of symptoms of the other eating disorders such as an intense fear of weight gain and a preoccupation with food (thinking about food or having food related thoughts most of the day). Many people with OSFED have symptoms of the other eating disorders, but may not meet the exact clinical criteria, and therefore are diagnosed with OSFED. Avoidant restrictive food intake disorder (ARFID). A person who has ARFID does not eat enough which is marked by unhealthy weight, nutritional deficiency, and/or interference with social functioning. The main difference between anorexia and ARFID is that someone with ARFID does not have a fear of gaining weight or body image concerns. ARFID may be characterized by a limited list of foods someone will eat, extreme pickiness, or fear or adverse reaction to food such as choking or vomiting. Disordered eating is a term used to describe when someone doesn’t have a diagnosed eating disorder, but their eating patterns and behaviors put them at risk for developing an eating disorder. For example, anorexia can start when dieting becomes too extreme; binge eating disorder or bulimia can start because dieting often restricts the amount and types of food, so when a diet is broken, it can lead to uncontrollable eating and loss of control around food. Sometimes extreme healthy eating is referred to as “orthorexia” which is not a diagnosable eating disorder but may still be a problem if interfering with health or day-to-day functioning. Prevalence rates or how often eating disorders occur varies with each disorder. While anorexia nervosa and bulimia nervosa are fairly rare, binge eating disorder and OSFED are slightly more common. A study done in 2011 estimated that 0.3% of Americans between the ages of 13-18 suffer from anorexia, 0.9% from bulimia, and 1.6% from binge eating disorder (Swanson et al. 2011). Estimates of OSFED differ from study to study, but may be as high as 15%. Body Image and Self-Esteem: Teens are constantly exposed to unrealistic standards in the media such as airbrushed images, very skinny models, and constant celebrity images on social media and may feel pressure to lose weight or look a certain way. Because of these pressures, many teens develop negative body image and self-esteem. It’s important for teens to find ways to feel comfortable with the natural shape and size of their bodies. Body distortion:Body distortion is when someone sees their body shape, size and appearance differently from what everyone else sees. Body distortion causes a person to over-focus on flaws or imperfections that they are insecure about. Most people who struggle with an eating disorder have body distortion issues and often worry about how they look or what people will think of them. These negative thoughts can be difficult to get rid of, and it is helpful to learn positive self-talk strategies with a therapist. Write down things that your body can do when it’s healthy (running, dancing, hiking, biking, etc.). Write down 10 qualities you like about yourself (caring, responsible, funny, smart, creative etc.). Make a list of accomplishments you are proud of. Buy clothes that you feel comfortable in and give away any that make you feel self-conscious or uncomfortable. Relax using all your senses. Take a bath, listen to music, play a game, sing, or meditate. Spend time with positive people who make you feel comfortable and you can be yourself around. Remind yourself that everyone’s body is unique and not everyone is meant to be the same shape or size. Be critical of advertisements, magazines and the media. Many people will write letters to a company if they find their ads or articles upsetting or hurtful. Make yourself smile when you look in the mirror. It might feel weird at first, but after a while, you could start to notice a difference in the way you see yourself. What do I do if I think my friend has an eating disorder? Approaching a friend who you think has an eating disorder can be very hard. People who have eating disorders might be in denial, and therefore they may be very defensive about their behaviors. They also tend to be very secretive about their behaviors, and often refuse to talk about their problems. Despite the strong reactions, it’s very important to continue to try and help someone you care about. In most cases, they need a lot of support and encouragement from friends and family to help them take the first step to seek treatment. What are some suggestions for supporting someone you care about? Offering them advice regarding food, exercise, etc. Remember, you’re there to support and be a source of encouragement throughout the process, not to be a therapist or tell them what to do. Cash, Thomas. Body Image Workbook (2nd Ed. ): An 8-step Program for Learning to Like Your Looks (2008). Kingsbury, Kathleen-Burns & Williams, Mary Ellen. Weight Wisdom (2003). Nelson, Tammy. What’s Eating You: A Workbook for Teens Who Have Problems With Food (2008). Neumark-Sztainer, Dianne. “I’m, Like, So fat” (2005). Thomas, Jennifer & Schaefer, Jenni. Almost Anorexic: Is My (or My Loved One’s) Relationship with Food a Problem? (2013).